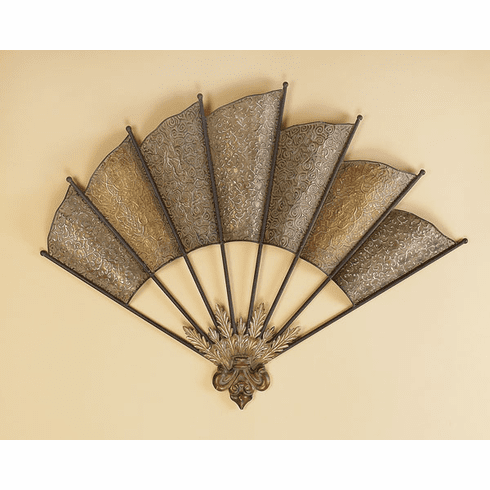 This is a very nice, high quality decorative metal wall decor arts. This is handcraft, hand painted 3D wall sculpture. With various detailed flag bundled together, this art set give you a distinct aging view.Frustrated with stretching hand old style hand fan or sea boat. Levitating elegance bring the arts set a 3D feelings. Perfect for your home,studio,scene, office, art project, builder model house and high class hotel room. * Metal wall decoration arts,unbelievable design, illusion of fan yet bundle of flags. * 44" W x 34" can be hanging in single point. Dimensions: 39" x 33" x 5"